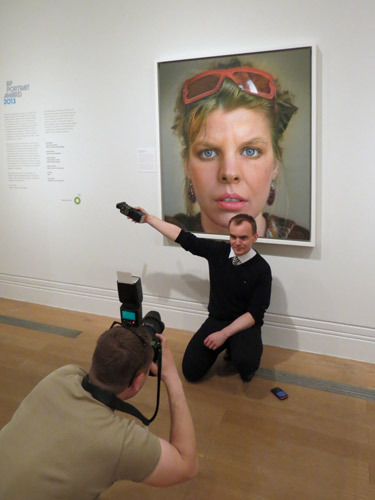 55 portrait artists (2.8% of the entry) had their paintings selected and hung in the BP Portrait Prize Exhibition 2013 . 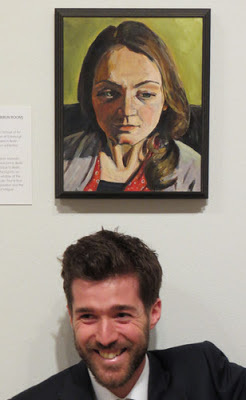 This post highlights those artists and their portraits. Below you can find the names of the Selected Artists. They're listed alphabetically by country - with UK countries first and then alphabetically by other countries. The title of the work, size and media used are also listed. 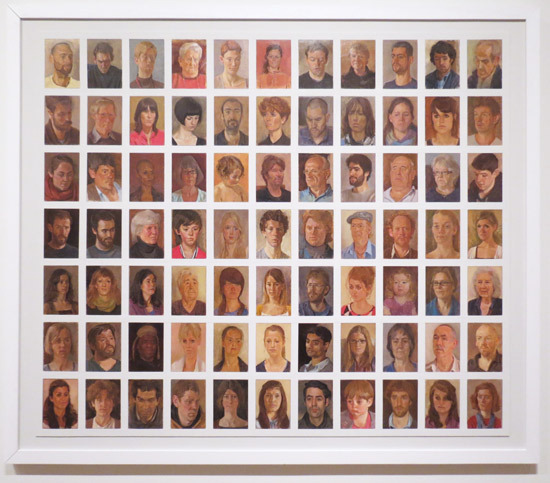 These artists will have their portrait paintings seen by some 250,000 people this summer. There are links in the names to the artist's websites (where websites could be found easily). Some also have links to the portrait on their website. The country is the country of residence rather than the country of origin. note the standard of the websites - and note how many artists now have one! Some had both websites and blog. '100 Portraits" is a series of intimate portraits of friends, family and interested others. 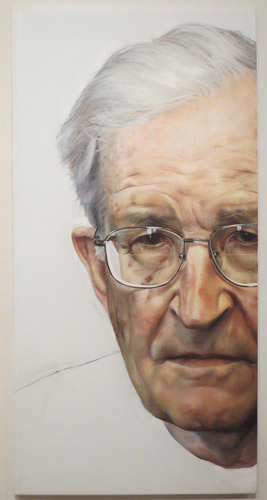 as well as a previous BP Portrait Award winner . This photo is to give you a sense of the scale. Look carefully at the dimensions of the listed paintings! Jamie Routley (b.1982) On the inner dialogue of an artist 1230 x 1020 Oil Canvas Note: This painting has been chosen as one of the paintings to promote the exhibition in advertising and marketing material. TeriAnne Scoble (b.1959) Mrs. Damon and Mrs. Healey 530 x 785 Oil Canvas Click the link to read all about how the portrait came about. Agnes is a fan of Making A Mark! I love the colour co-ordinated outfit. - Now who would have expected a rabbit! and a member of the SWLA! My aim was to emphasise his strong personality and mesmerising character. I tripled the portrait and put it in a neutral space. The dynamics of the picture are provided by the motion of the hands as they play with the cards. that way I get a nice natural smile! Daan ( van ) Doorn (b.1958) Philip Glass 1385 x 1740 oil polyester on board Note: This portrait is interesting because Philip Glass has also been a model for Chuck Close. 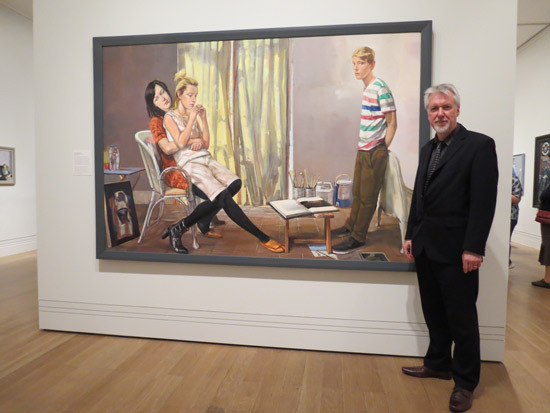 His 1969 portrait is now in the Whitney and the large size of this painting echoes the size of Close's early hyperrealist work. Entrance to the National Portrait Gallery. 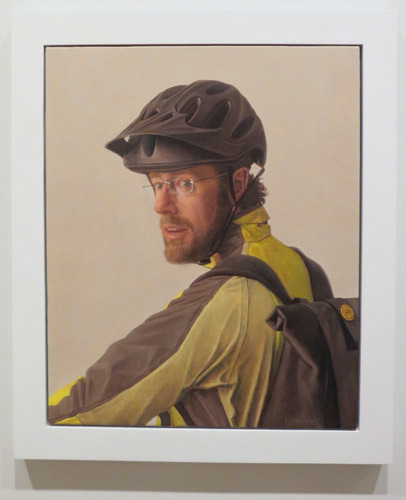 or Jamie Routley's self portrait! Visitors to the Exhibition can vote for the painting they like the best - on the digital screens outside the exhibition entrance. The most popular painting will be awarded the accolade of being the Visitors Choice. 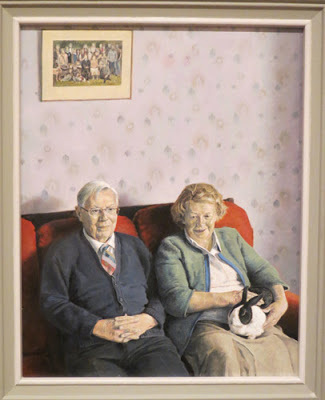 The three most popular portraits will be available on the website from 9 September 2013. 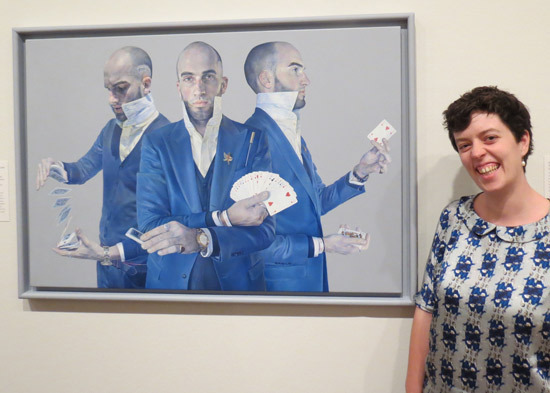 The BP Portrait Award Exhibition is at the National Portrait Gallery until 15 September before going on its travels around the UK. It's open between 10am and 6pm every day and is open until 9pm on Thursday and Friday. 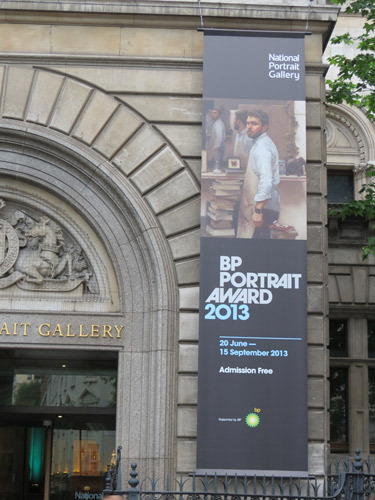 Note: The Portrait Award is now in its 34th year at the National Portrait Gallery and 24th year of sponsorship by BP. In 2012, the exhibition was seen by 255,982 visitors. Below you can find previous posts about the BP Portrait Award on this blog.